If you can’t have the world on a string, at least keep it in the palm of your hand. 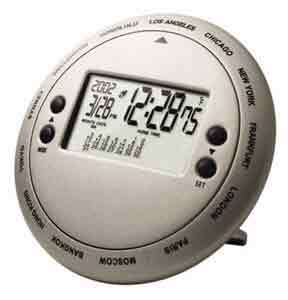 This pocket-sized chronograph tells time for 13 time zones worldwide at the spin of a dial. Select to see the time in the following preprogrammed cities around the globe: Bangkok, Chicago, Frankfort, Hong Kong, Honolulu, London, Los Angeles, Moscow, New York, Paris, Sydney, Tokyo, and Wellington. 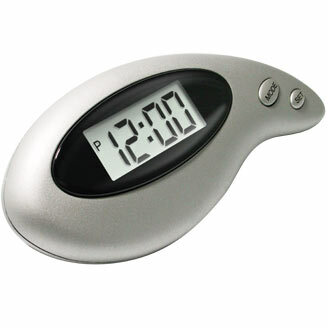 LCD is inset into a matte finish, die-cast metal body displays time, temperature (ºF or ºC) and monthly calendar. 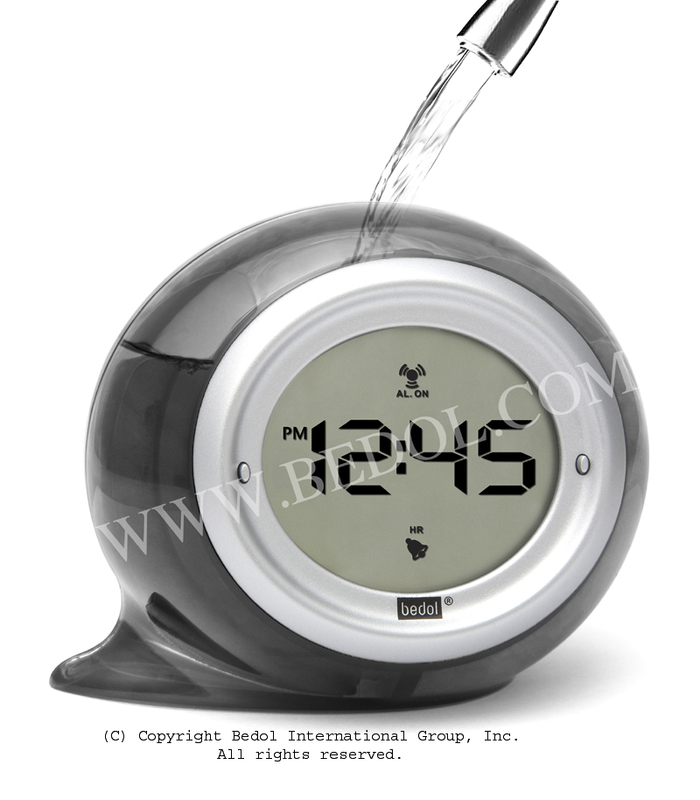 Clock includes built-in alarm for convenience and serves as the perfect travel companion as you dash across the various time zones. Powered efficiently by a one button-cell battery (included). What’s Next? Making sure you don’t miss your next flight!